Over the years, a number of alternative chess games have been developed—some very similar to chess, and some radically different. Many of these failed to gain popularity, but a select few have large followings. The games listed below are popular enough to be available on many chess servers or be played as side events at traditional chess tournaments. The rules of chess weren't always as they exist today. 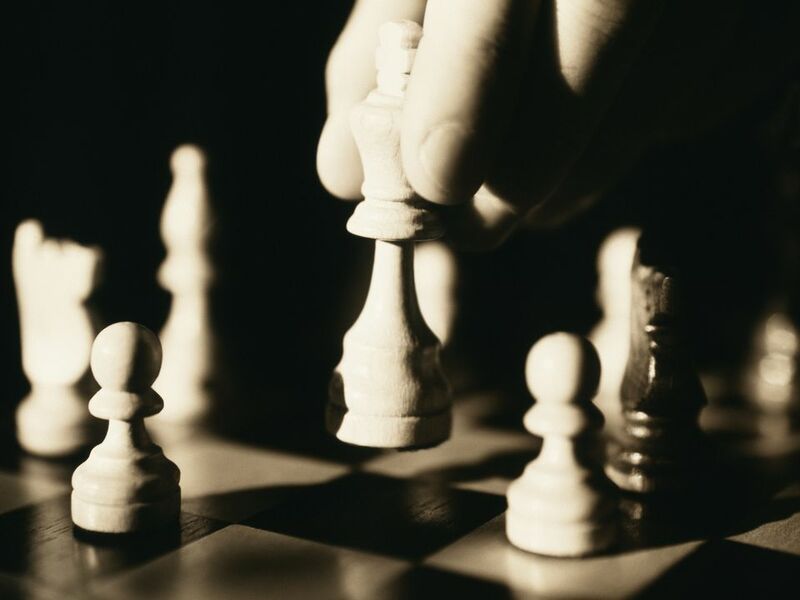 Chess has existed in various forms since the 6th century and has gone through many changes over the years. The first chess game, Chaturanga, was developed in the 6th century. The most immediate ancestor of chess is, which became popular in 7th-century Persia. This game, available on some online chess servers, was very similar to modern chess, with a few major changes. The kings, rooks, and knights are identical to those we use today. Pawns can only move one square, the queen (known as a fers or counsellor) could only move one square in any diagonal direction, and the bishop (or elephant) jumped like a knight -- but only two squares diagonally. Bughouse is one of the most popular chess variants, especially among younger players. In this game, two teams of two players each face each other on two separate chess boards. On each team, one player takes the White pieces, while the other plays Black. The game is played normally, with one big twist: when a player captures a piece, he passes it to his partner. On a player's turn, he may make a normal chess move, or place a captured piece on the board. The first checkmate on either board decides which team wins. Crazyhouse is bughouse for just two players. It is played like normal chess, except that capturing a piece allows a player to place the same piece of his color on the board later, as in bughouse. Chess960, also known as Fischer Random Chess, is a chess variant designed to eliminate opening preparation without fundamentally changing the game. Once the game begins, it is played exactly like standard chess. The difference is how the starting position is determined. The pawns are placed along the second rank, as in a normal game. However, the arrangement of the other pieces is randomized, with just a few rules governing how the pieces are arrayed. The Black position always mirrors the White position, each side must have one bishop of each color, and the kings are always placed between the rooks. Within those rules, there are 960 possible starting positions, which can be determined by dice or other methods before the game begins. Several games take regular chess and add additional pieces to the board. For instance, both Capablanca Chess and Gothic Chess add two new pieces: the chancellor and the archbishop. Both games are played on a wider, 10x8 board to accommodate the additional material; the two games differ on how the pieces are arranged. The chancellor can move like a knight or a rook. The archbishop can move like a knight or a bishop. Both pieces are quite powerful; the chancellor is nearly as strong as a queen, while the archbishop is the only piece that can checkmate without any help from friendly or enemy pieces. Other than these new pieces, these games are played with the same rules as standard chess. Loser's chess, suicide chess, and antichess are just some of the names given to the family of games in which players attempt to win by losing all of their pieces. While these games are mostly played just for fun, there is a surprising depth of strategy involved. These games often have varying rules but are generally played with just a few rule changes from standard chess. Captures are mandatory; if a player has a choice of captures, he can make whichever one he likes, but cannot choose not to take a piece. Kings are treated like normal pieces and can be captured at any time. The winner is the first player to lose all of their pieces, or -- in some variants -- to be unable to make a legal move. Kriegspiel is a chess variant in which a player cannot see his opponents' pieces, and is not told where they have moved. This radically changes the game, and the strategy; chess is a game of complete information, while Kriegspiel is not. Given the logistical difficulty of Kriegspiel, it can only be played with the help of an arbiter -- either a human or a chess server. The arbiter can tell players whether they've made legal or illegal moves, when a capture occurs, what pawn captures are available, and from what direction their king is in check. The actual play is the same as standard chess, and so is the goal: checkmate. Atomic chess is a popular chess variant online, where it can be played on a number of different chess servers. In this game, captures are much more dangerous that in standard chess; in addition to the captured piece being removed from the board, the capturing piece is also killed. In addition, every piece (excluding pawns) within a one-square radius of the capture "explode," and are removed from the board. The first person to explode their opponent's king wins.